Ariana Grande's Thank U, Next Has Some Heartbreaking References To Mac Miller! One of the many things we love about Ariana Grande is that she’s extremely open about her life. But there are some subjects which are still painful to her, and on the top of that list is the passing of her ex-boyfriend, Mac Miller. The two had a deep love for one another, and her songs suggest it may have still existed when she moved on to her now ex-fiance, Pete Davidson. Her highly anticipated “Thank U, Next” album contains a number of songs which seemingly reference Mac in the lyrics. 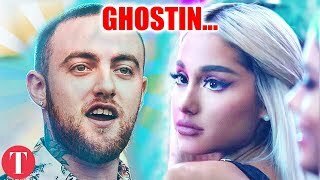 We’ll dive into her music, and let you know why “Ghostin’” may be about much more than simply not calling someone back. We know there were a ton of them, but did we miss your favorite Ariana Grande lyric? Share it with us in the comment section and then click subscribe for more from TheTalko.